You are here: Home › Library › How Often Should I Take My Remedy? The following instructions are suitable for acute (short-lived) problems only. One dose equals one pilule (pill or pellet) or ¼ dropper (5-7 drops) of liquid applied to the mucous membranes (ie, of the mouth). It’s not necessary for the remedy to be swallowed. For those who are sensitive to homeopathic remedies, Olfaction (taking a sniff of the remedy) works just as well. Examples: A mildly sprained ankle, or a nuisance-value sore throat. Dose: Every 4 hours until symptoms start to improve. With improvement, space the doses further apart, taking a dose only when symptoms start to return. If there is no improvement at all by 4 doses (after 16 hours) choose a more suitable remedy or contact your homeopath. Examples: A painful and swollen sprained ankle that can tolerate some weight, or a troublesome sore throat. Dose: Every 2 hours until symptoms start to improve. With improvement, space the doses further apart, taking a dose only when symptoms return. If there is no improvement at all by 4 doses (after 8 hours) choose a more suitable remedy or contact your homeopath. Examples: A painful and swollen ankle that you cannot place any weight on at all, or a sore and red throat that makes eating or drinking difficult. Dose: Every ½ hour until symptoms start to improve. With improvement, space the doses further apart, taking a dose only when symptoms return. If there is no improvement at all by 4 doses (after 2 hours) choose a more suitable remedy or contact your homeopath. Examples: An obviously broken ankle where the bone has pierced the skin and the person is in severe pain or shock, or a painful, swollen throat that is leading to suffocation. Dose: Every 15 seconds to a minute while waiting for the ambulance. If the remedy is correct there should be a rapid improvement in symptoms. With improvement, space the doses further apart. If there is no improvement at all by four doses (after 1 – 4 minutes), change to another remedy. An aggravation (a mild worsening of symptoms) can occasionally occur after the first dose of the liquid or pilule (pill or pellet) remedy as the body starts to rebalance. This is usually a positive response only seen with the first dose, and should soon be followed by an improvement in symptoms if the correct remedy has been chosen. Repeat the remedy when this improvement stalls or symptoms start to return. 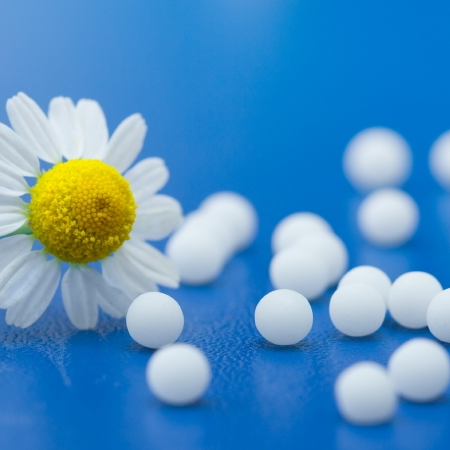 A small percentage of sensitive people respond so strongly to homeopathic remedies that they have a mild aggravation after each dose. Guidance on the amounts to given babies and children is available at: Doses for Babies, Doses for Adults: Is there a Difference?